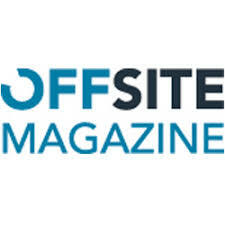 In this Month’s Offsite Magazine, T&T Suiko’s Richard Lyle considers the growing opportunity for end-to-end Lean Factory Thinking in the offsite manufacturing supply chain. The article ‘Lean Factory Thinking – Are We Offsite Ready?’ explores the full case for lean factory thinking, coupled with the offsite growth opportunity, logistics, technology and future-proofed strategies. Industry collaboration is a critical success factor. The offsite market is dominated by a small group of key players with a mature supply chain; we encourage the move towards best practice though wider partnering, the cross fertilisation of ideas and collaboration across the sector to eliminate the current fragmented approach. The offsite market needs to focus on delivering value as opposed to being price-led. We advocate a switch in focus to comprehensively eliminate all elements within the supply-chain that do not add value. Tuning in the right skills, design capabilities, technological expertise and applications within the process is equally paramount. To future proof the supply chain, and ensure we are all ‘offsite ready’, it is essential that clear end-to-end Lean strategies and policies are now defined, understood and effectively embedded.